It is spring, and the bloody bluebird, instead of laying eggs, is sitting on my bird feeder, gobbling up the grubs and then flying his fuzzy blue you-know-what off to someone else’s nesting box. (To be fair, the bluebirds DID begin a nest, but their nest has disappeared and a chickadee is happily building there instead. Digression: Did you know that bluebirds and chickadees use totally different material for their nests? Bluebirds use primarily pine needles, and chickadees use moss. These are the things you learn when you have a bluebird competitor who is willing to share information right down the street). The crows are having a fine time scooping up the leftovers, and it is darn cold out. BUT — on the bright side, the asparagus is poking green shoots up. We had some last night for dinner. The radishes and lettuce seeds are in the ground. It is bound to get warmer soon. And I’m writing as much as I can, storing up words and chapters for my next novel before school lets out in a few short weeks and these hours are no longer my own. I hope spring is treating you well, wherever you are. 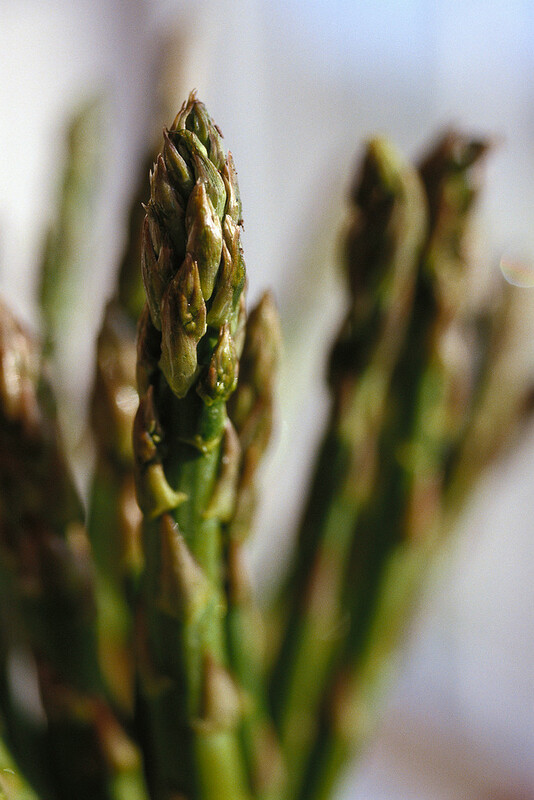 This is Microsoft's asparagus. Ours is pencil-thin and delicious. When my daughter was born, I promised myself that I’d stand firm against the sea of plastic I saw other kids playing in. I wanted only handmade, beautiful toys for her, in the Waldorf tradition, made by elves who only ate organic food, drank milk from virgin yaks, and shunned sugar. We even went to a Waldorf play group for two years, until I had my second child and the 45 minute drive became too crazy. 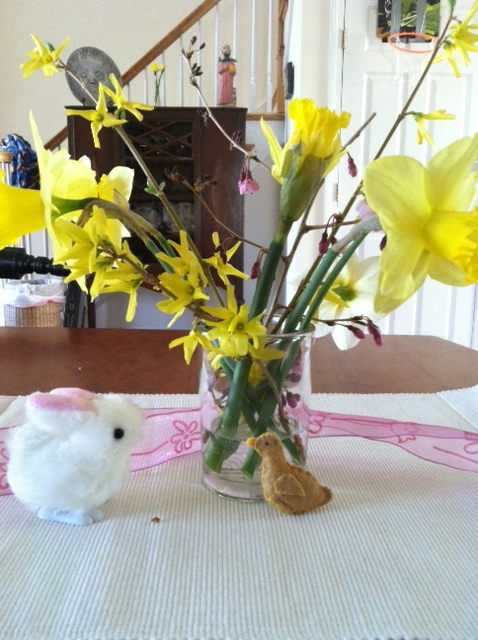 But despite the concessions, I have managed to keep one small Waldorf-esque tradition — the nature table. Each season, we deck it with natural (or natural looking, since I’m a sellout these days) materials that represent what is happening outside. I’ve done it in different places in the house, but it seems to work best on our dining room table. It’s such a part of our lives that I don’t even notice it most of the time. Even when you think they’re not paying attention, apparently they are. At least one of these things is from nature, right? Years ago, when we lived in Connecticut, our house overlooked a meadow. It was wide and grassy and bordered a copse of trees, the perfect habitat for birds. We’d put up a large bird house to attract purple martins, because we also had mosquitoes the size of eagles. And then one day when I was working at my desk, a flash of blue at the edge of the yard caught my eye. It was brighter than a jay, slightly larger than a chickadee, and with a breast as bright red as a robin’s. 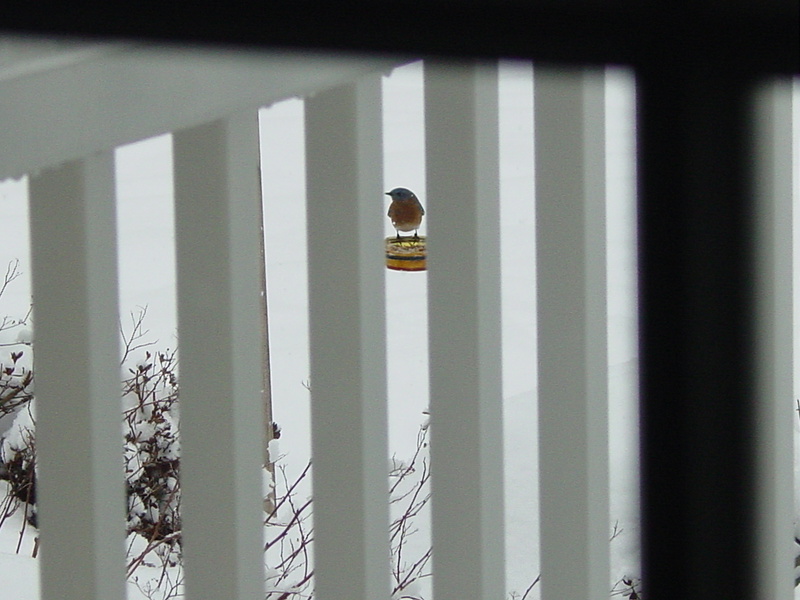 I’d never seen a bluebird before, but my handy Audubon guide confirmed what this cheeky visitor was. Within a few days, he’d moved into the bird house. And then he brought friends. Over the summer months, I counted at least four male blue birds. It was an excess of excitement — they’d swoop around the garden, like fat little fairies who’d fallen into a vat of dye. My birding friends were amazed and impressed — until the bluebirds discovered my car. 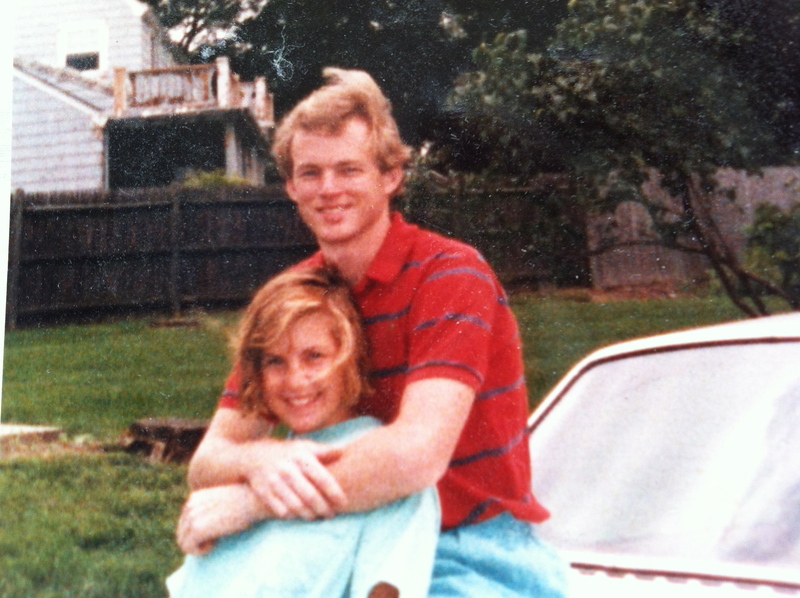 Back then, we had a one-car garage, and my husband, because he commuted, had dibs on it. My vehicle, an enormous SUV, hulked in the patch of gravel off to the side. Because I towed a horse trailer, the SUV had oversized side mirrors. One of the bluebirds discovered it and, convinced his reflection was a rival, would sit and scold all day long. Of course, while he was chattering, he also pooped — a lot. For weeks I would show up at gatherings, the right side of my car brilliant white with bird poop. I suffered through more than my fair share of “Don’t let the bluebird of happiness crap on your car jokes’ until I came up with the bright idea of taping brown paper sandwich bags over the mirrors. This worked fine, so long as I remembered to take them off before I got in the car — otherwise I was liable to take out a mailbox or two. The bluebird of happiness had turned into a big fat pain in the rear. When we moved to our new house, I set up a feeding station almost immediately. We brought our old bird houses, too — the ones supposed to be too big for bluebirds — and lo and behold, the bluebirds followed us here. I knew they weren’t the same birds, but it was comforting, when everything was new and strange, to have those bright flashes of blue outside my window. And then one summer, the bluebirds stopped coming. In early spring, when they usually start checking out the houses, the garden remained empty. I didn’t see a single bluebird – until I happened to take a walk down the street one afternoon. There, in my neighbor’s yard, a pair of the pint-sized chirpers sat on a nesting box, one built specifically for blue birds. I was crushed — they’d abandoned me! I immediately forgot all the bad words I’d said about them and set about trying to woo them back. Now my neighbor and I engage in a friendly rivalry for who can attract the most nesting couples. (Friendly enough that he even gave me two nesting boxes of my own.) I spend a crazy amount on bird food, but it’s worth it — I had a mated couple of my own last year that laid and hatched four eggs. A bluebird is on the feeder as I type this, fat and sassy and full of himself. There are pine needles in the nesting box, a good sign. Happiness is fleeting and changeable and sometimes messy. Grab hold when you can.